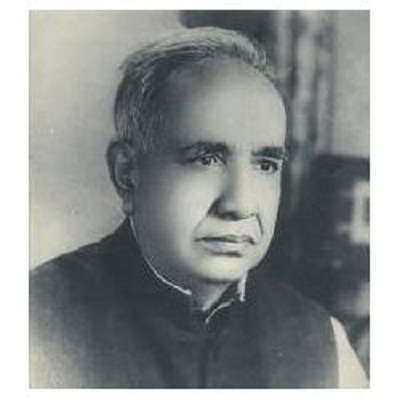 Naseem Hijazi great Urdu novel writers. He wrote near about 20 books. His book most read in Urdu books lover. After, Abdul Haleem Sharar, Naseem Hijazi select the Islamic history for his writing. He gave new trends of novel writing. There is no doubt that if we say that he was the pathfinder in history books. Sharif Hussain (who used the pseudonym Naseem Hijazi) was born in 1914. He belonged to an Arain family. He lived in the Sujaanpur near the town of Dhariwal, a village of Gurdaspur district. After the creation of Pakistan, Naseem Hijazi migrated to Pakistan. He stayed in Lahore and spent his whole life. He passed away on 2 March 1996 Lahore. Naseem Hijazi is God gifted story teller. He wrote near 19 novels. Mostly his books revolve around the Islamic history background. No doubt, he was the great novel writer. Naseem Hijazi is most popular among Urdu books lover. He wrote below mentioned books. Moreover, you can read online or download all books by clicking book name. This story also described the condition of Indo-Pak at the time and evils of Hindu caste system. The book revolves around the most historic victory of Somnath. Khak Aur Khoon wrote in the context of separation of Pakistan. It described the great migration from India to Pakistan. Hindus and Sikhs have mascaraed the Muslims. More than 20 Million People have damaged. This novel described the Muslim struggle in Undalus and Reconquista of Spain. Yousaf Bin Tashfin was the ruler of Almoravid Empire. He played key roles to defeat Alfonso VI and establish a firm Muslim empire in Spain. It is another great history Islamic novel by Naseem Hijazi. Akhri Chattan novel wrote in the context of Mongol invasion on Muslim World. Sultan Khawarzim Shah struggled almost 20 years to save Muslims from Genghis Khan and Mongols. But, he did not get much help from the Muslim rulers. As he removed from the scene, Mongol invaded the Baghdad. It is an excellent novel for books lovers. Gumshuda Qaafley described the British rule on Indo-Pakistan. It described the condition and events of Sub-continent before the partition. This novel ends where Pardasi Darkhat novel starts. Pardashi Darkhat novel described the event before the partition of Pakistan. The primary focus of novel a few early years before the creation of Pakistan. In Qaisar-o-Kisra wrote the situation of Byzantine–Sasanian empires. Both considers the super powers before the arrival of Islam. This book also describes the rise of Islam in Arabia. This novel describes the Muslim victories in China, India, Spain and the period of Walid Bin Abdul Malik. It described the life of a Muslim Mujahid. Kaleesa Aur Aag novel described the last struggle of Muslims to stay in Spain. But, Muslim lost their rules in Andalus. Naseem Hijazi mentioned the reasons and condition why Muslim lost their vast empire in Europe. This book considered the 2nd part of Kaleesa Aur Aag. In this book, the writer described the Christians tortured on Muslims. They declared no Muslim can stay in Spain. If stayed, they join Christianity. Moazam Ali book wrote on the life and victory of Haider Ali and Mysore. Haider Ali was the great ruler of Mysore. He set up a solid Mysore state and defeated British, Maratha and Nizaam. Aur Talwar Toot Gai wrote in the context of British rule on Mysore and Tipu Sultan era. Tipu Sultan lost the wars due to the treachery of his ministers. Insaan Aur Devta another great history novel of Naseem Hijazi. In this book, he points out the ancient India condition and the evil caste system. Hindu upper class suppressed the lower caste and considered not human. Muslim victory on Sindh and Raja Dahir defeated in Indo-Pakistan is the primary theme of this book. The Arabs Muslim first time came in Sub-Continent in the leadership of Muhammad Bin Qasim. Qafla e Hijaz another great Islamic history novel of Naseem Hijazi. In this book, he described the Muslim victories in Iraq and Iran. This novel described the era of Hazart Umar and the condition of Iranian. Shaheen novel told the story of Muslim downfall in Spain. This book revolves around a young Muslim Abul Hassan. He launched the guerrilla war against Christians. So Saal Baad is a funny novel. In this novel, Naseem Hijazi criticised Hindu attitudes towards animals in funny manners. Like So Saal Baad this book also a funny novel. Pours Ke Hathi is a funny novel. Naseem Hijazi wrote this book in dialogue style. He criticised Indian leadership and their attitude in the 1965 war in comedy manners. Saqafat Ki Talash is a comedy novel of Naseem Hijazi. He mentioned the evils of adopting different lifestyle and criticised in his style. A travelogue book of Naseem Hijazi. He mentioned his travel to Hijaz e Muqadas (Saudi Arabia). You may also like to read the biography of Hazrat Qudratullah Shahab.